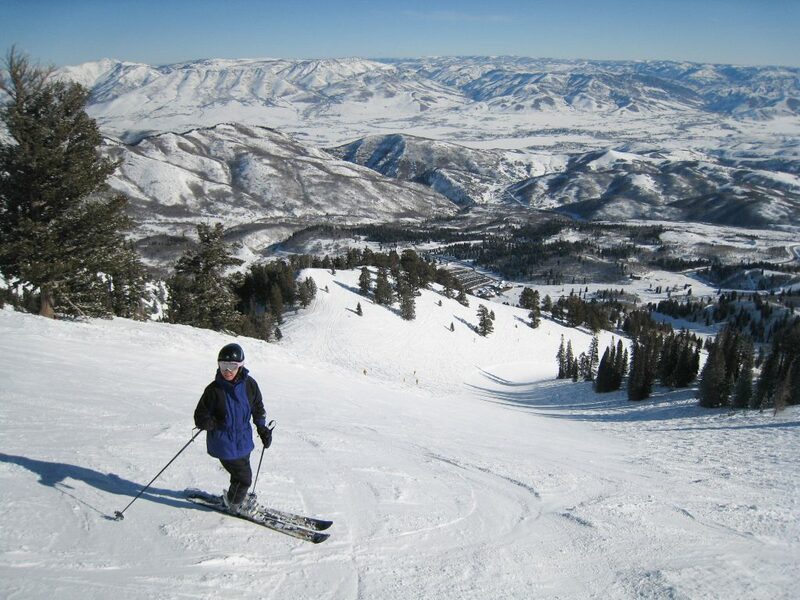 Snowbasin is one of the 3 resorts close to Ogden north of Park City and Salt Lake City. Not many people make the drive north from Park City, but it’s well worth it. 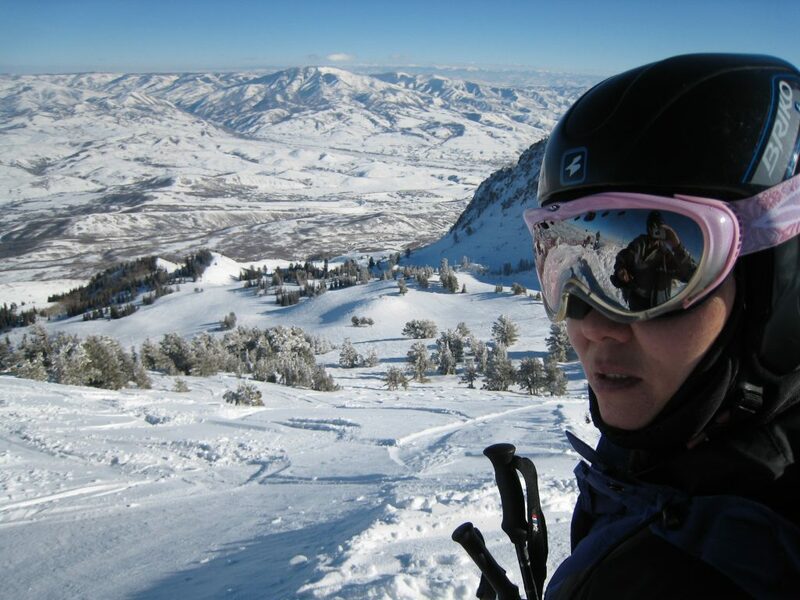 The first few years we skied Park City we kept hearing people talk about Snowbasin. 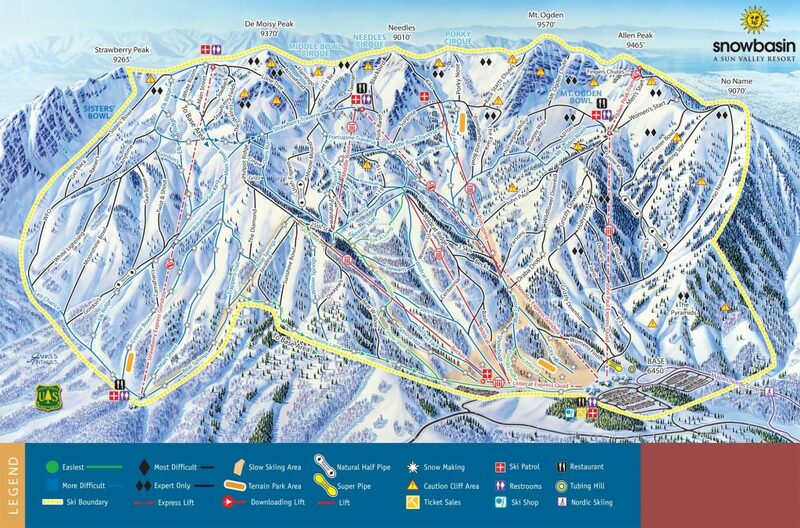 It’s a 1 1/2 hour drive from Park City though, so it takes planning and motivation. The first year we went was 2008 and we went back 2 more times after that with friends and family because it was so good. We usually start the day on the John Paul express. 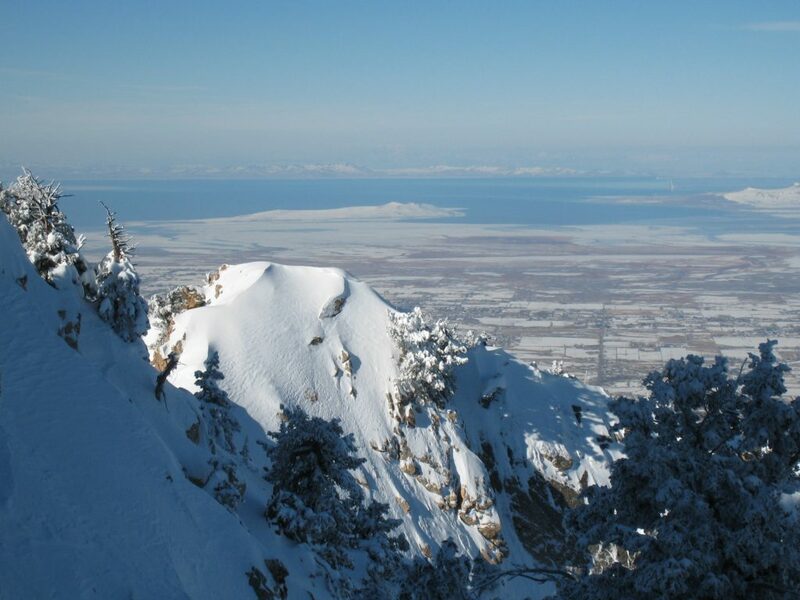 This is one of the best lifts in North America, with 2,424′ of mostly black terrain. This is where the downhill courses were for the 2002 Winter Olympics. They usually groom 1 or 2 runs off of that chair, and they are leg burners so it’s a good idea to go there early. At the top of the lift the Allen Peak Tram is a small tram that was built for the olympics and probably wouldn’t have been done that way for any other purpose, but it’s a fun touristy thing to do with a short black run back down. 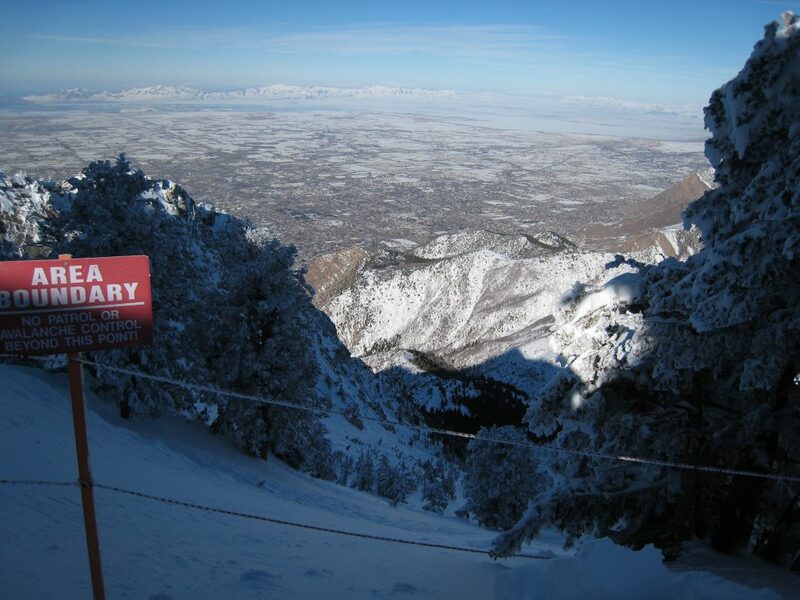 The view of the Ogden side of the valley from up there is amazing. The John Paul lodge is at the bottom of the tram and this is one of the most spectacular settings for a mid-mountain lodge I’ve ever seen. 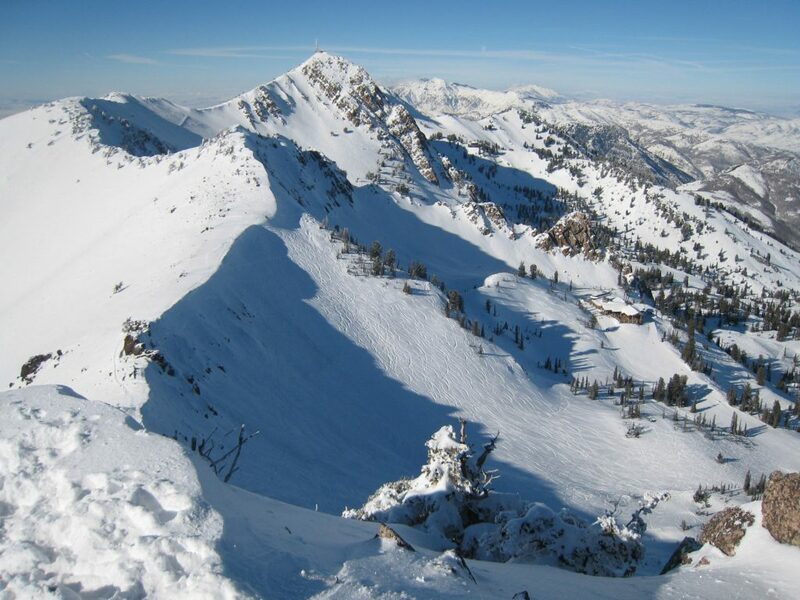 All the lodges at Snowbasin are beautifully constructed with bathrooms you feel bad about entering with ski boots on. 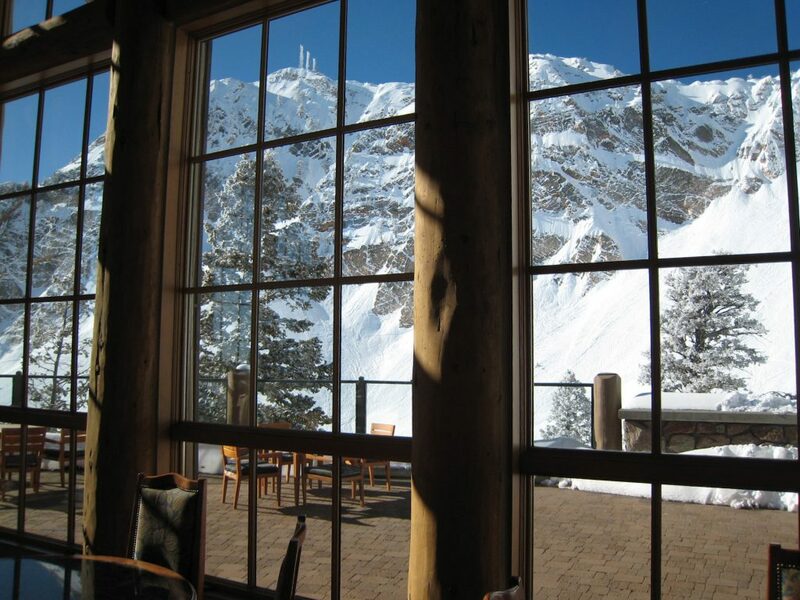 The food service is in the top 5 of resorts on our list, alongside Sun Valley and Deer Valley. Sun Valley is the parent company and you can see it in the way this resort is run which is very high class but not overly expensive. 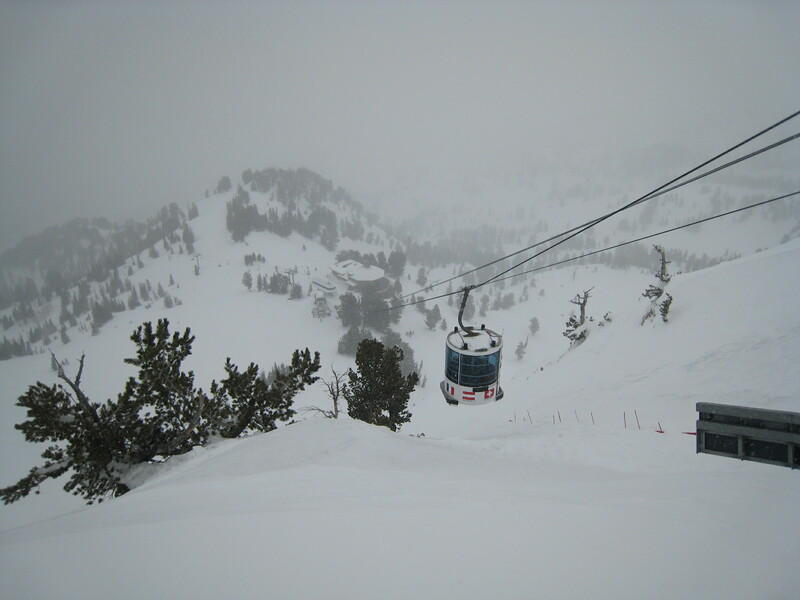 The upper middle of the resort features a lot of blue terrain with some shorter runs on Porcupine and Middle Bowl. 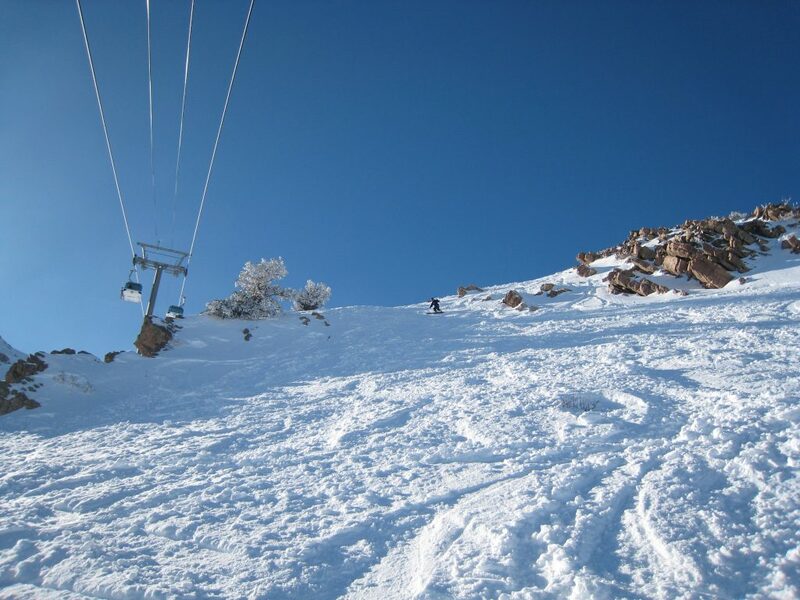 The Becker and Wildcat chairs serve the lower part of the center and we never spent much time on either one, but a lot of it is good groomed terrain and some bumps if the snow is good. 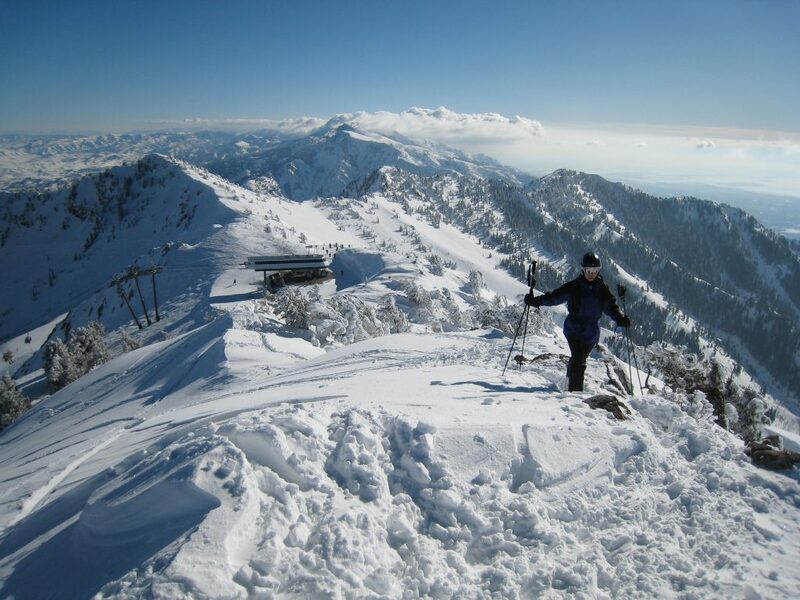 The Strawberry Gondola side is enormous and is really a complete ski area by itself. You could spend all day exploring it. We usually spend the afternoon over there until our legs give out.